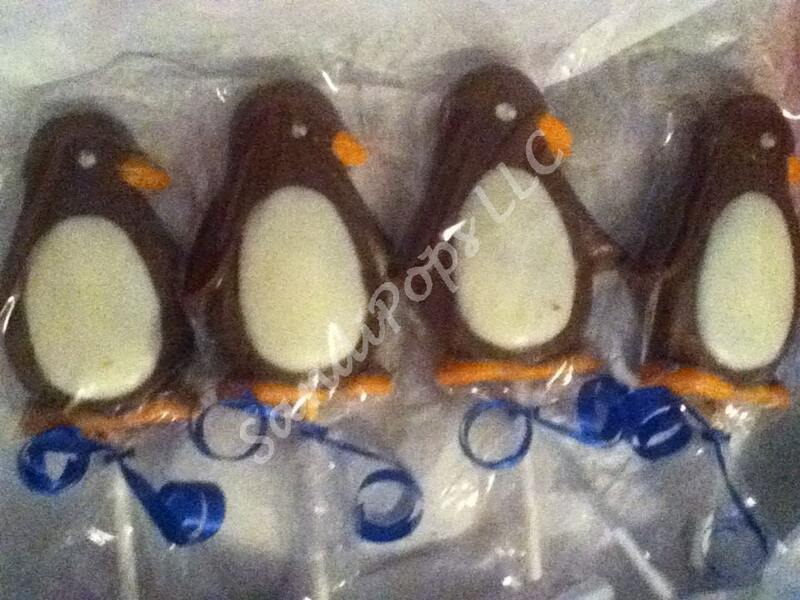 These delicious chocolate lollipops are made-to-order and will make a perfect addition to your Penguin themed party/event/pool party. They are also cute decor and cake toppers standing in line! This listing is for 24 penguin lollipops- please specify which penguin you want- yellow accents, orange accents, white accents, no accent colors.. Each lollipop is individually wrapped in a bag and tied with a curled ribbon -PLEASE specify ribbon color or you will get blue. I can certainly make any number of pops you need and any colors you want, convo me for pricing.